Bracketing automatically varies exposure, flash level, Active D-Lighting (ADL), or white balance slightly with each shot, “bracketing” the current value. Choose in situations in which getting the right settings is difficult and there is not time to check results and adjust settings with each shot, or to experiment with different settings for the same subject. AE & flash bracketing: The camera varies exposure and flash level over a series of photographs (0 Exposure and Flash Bracketing). Note that flash bracketing is available in i-TTL and, where supported, auto aperture (qA) flash control modes only (0 i-TTL Flash Control, CLS-Compatible Flash Units). AE bracketing: The camera varies exposure over a series of photographs. Flash bracketing: The camera varies flash level over a series of photographs. WB bracketing: The camera creates multiple copies of each photograph, each with a different white balance (0 White Balance Bracketing). 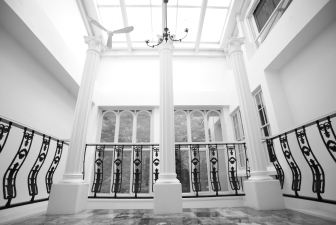 ADL bracketing: The camera varies Active D-Lighting over a series of photographs (0 ADL Bracketing). Pressing the BKT button, rotate the main command dial to choose the number of shots in the bracketing sequence. 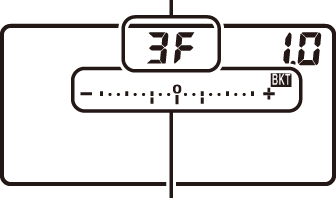 The number of shots is shown in the control panel. At settings other than zero, a M icon and exposure and flash bracketing indicator will appear in the control panel and BKT will be displayed in the viewfinder. Pressing the BKT button, rotate the sub-command dial to choose the exposure increment. At default settings, the size of the increment can be chosen from 0.3 (1/3), 0.7 (2/3), 1, 2, and 3 EV. The bracketing programs with an increment of 0.3 (1/3) EV are listed below. Note that for exposure increments of 2 EV or more, the maximum number of shots is 5; if a higher value was selected in Step 1, the number of shots will automatically be set to 5. The camera will vary exposure and/or flash level shot-by-shot according to the bracketing program selected. Modifications to exposure are added to those made with exposure compensation (0 Exposure Compensation). While bracketing is in effect, a bracketing progress indicator will be displayed in the viewfinder and control panel. 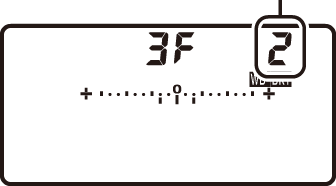 A segment will disappear from the indicator after each shot. To cancel bracketing, press the BKT button and rotate the main command dial until the number of shots in the bracketing sequence is zero (r) and M is no longer displayed. The program last in effect will be restored the next time bracketing is activated. Bracketing can also be cancelled by performing a two-button reset (0 Two-Button Reset: Restoring Default Settings), although in this case the bracketing program will not be restored the next time bracketing is activated. Choosing the size of the increment, see A > Custom Setting b2 (EV steps for exposure cntrl, 0 EV Steps for Exposure Cntrl). 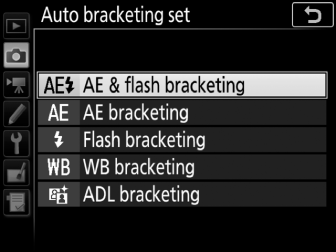 Choosing the order in which bracketing is performed, see A > Custom Setting e7 (Bracketing order, 0 Bracketing Order). 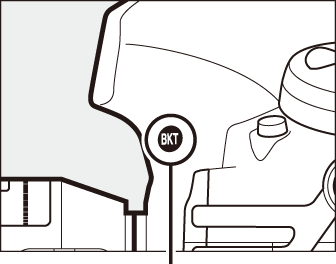 Choosing the role of the BKT button, see A > Custom Setting f1 (Custom control assignment) > BKT button + y (0 Custom Control Assignment). In continuous low speed, continuous high speed, and quiet continuous modes, shooting will pause after the number of shots specified in the bracketing program have been taken. Shooting will resume the next time the shutter-release button is pressed. If the memory card fills before all shots in the sequence have been taken, shooting can be resumed from the next shot in the sequence after the memory card has been replaced or shots have been deleted to make room on the memory card. If the camera is turned off before all shots in the sequence have been taken, bracketing will resume from the next shot in the sequence when the camera is turned on. The camera modifies exposure by varying shutter speed and aperture (programmed auto), aperture (shutter-priority auto), or shutter speed (aperture-priority auto, manual exposure mode). If On is selected for ISO sensitivity settings > Auto ISO sensitivity control (0 Auto ISO Sensitivity Control) in modes P, S, and A, the camera will automatically vary ISO sensitivity for optimum exposure when the limits of the camera exposure system are exceeded; in mode M, the camera will first use auto ISO sensitivity control to bring exposure as close as possible to the optimum and then bracket this exposure by varying shutter speed. Custom Setting e6 (Auto bracketing (mode M), 0 Auto Bracketing (Mode M)) can be used to change how the camera performs exposure and flash bracketing in manual exposure mode. Bracketing can be performed by varying flash level together with shutter speed and/or aperture, or by varying flash level alone. The camera creates multiple copies of each photograph, each with a different white balance. 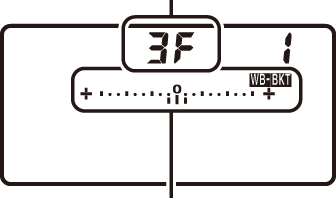 At settings other than zero, a W icon and WB bracketing indicator will appear in the control panel and BKT will be displayed in the viewfinder. Select a white balance increment. 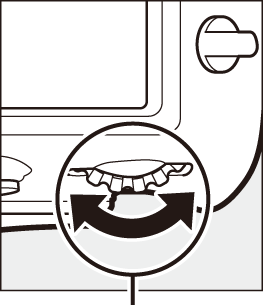 Pressing the BKT button, rotate the sub-command dial to choose the white balance adjustment. Each increment is roughly equivalent to 5 mired. Choose from increments of 1 (5 mired), 2 (10 mired), or 3 (15 mired). Higher B values correspond to increased amounts of blue, higher A values to increased amounts of amber (0 Fine-Tuning White Balance). The bracketing programs with an increment of 1 are listed below. Each shot will be processed to create the number of copies specified in the bracketing program, and each copy will have a different white balance. Modifications to white balance are added to the white balance adjustment made with white balance fine-tuning. 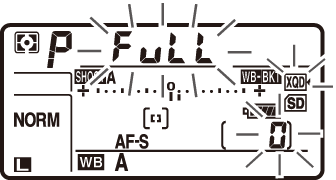 If the number of shots in the bracketing program is greater than the number of exposures remaining, n and the icon for the affected card will flash in the control panel, a flashing j icon will appear in the viewfinder, and the shutter release will be disabled. Shooting can begin when a new memory card is inserted. To cancel bracketing, press the BKT button and rotate the main command dial until the number of shots in the bracketing sequence is zero (r) and W is no longer displayed. The program last in effect will be restored the next time bracketing is activated. Bracketing can also be cancelled by performing a two-button reset (0 Two-Button Reset: Restoring Default Settings), although in this case the bracketing program will not be restored the next time bracketing is activated. White balance bracketing is not available at an image quality of NEF (RAW). Selecting an NEF (RAW) or NEF (RAW) + JPEG option cancels white balance bracketing. White balance bracketing affects only color temperature (the amber-blue axis in the white balance fine-tuning display, 0 Fine-Tuning White Balance). No adjustments are made on the green-magenta axis. In self-timer mode, the number of copies specified in the bracketing program will be created each time the shutter is released, regardless of the option selected for Custom Setting c3 (Self-timer) > Number of shots (0 Self-Timer). 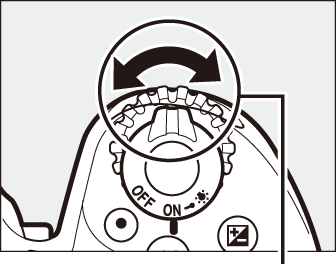 If the camera is turned off while the memory card access lamp is lit, the camera will power off only after all photographs in the sequence have been recorded. The camera varies Active D-Lighting over a series of exposures. 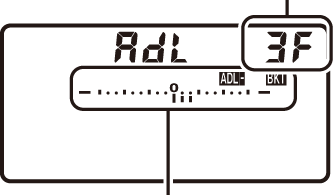 At settings other than zero, a d icon and an ADL bracketing indicator appear in the control panel and BKT will be displayed in the viewfinder. 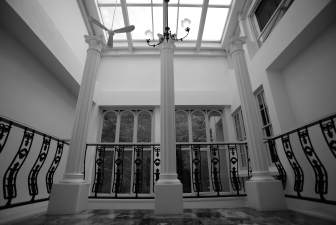 Choose two shots to take one photograph with Active D-Lighting off and another at a selected value. Choose three to five shots to take a series of photographs with Active D-Lighting set to Off, Low, and Normal (three shots), Off, Low, Normal, and High (four shots), or Off, Low, Normal, High, and Extra high (five shots). If you choose more than two shots, proceed to Step 3. 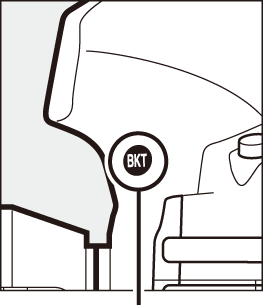 Pressing the BKT button, rotate the sub-command dial to choose Active D-Lighting. 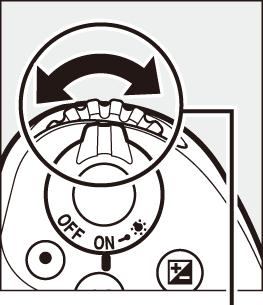 Active D-Lighting is shown in the control panel. 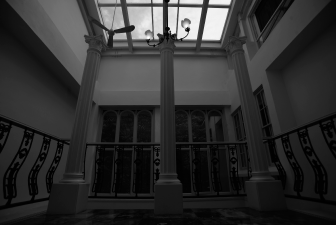 The camera will vary Active D-Lighting shot-by-shot according to the bracketing program selected. While bracketing is in effect, a bracketing progress indicator will be displayed in the control panel. 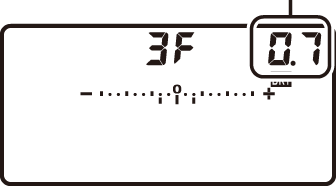 A segment will disappear from the indicator after each shot. To cancel bracketing, press the BKT button and rotate the main command dial until the number of shots in the bracketing sequence is zero (r) and d is no longer displayed. The program last in effect will be restored the next time bracketing is activated. Bracketing can also be cancelled by performing a two-button reset (0 Two-Button Reset: Restoring Default Settings), although in this case the bracketing program will not be restored the next time bracketing is activated.